Experts gathered at the XVIII Latin American Nutrition Congress (SLAN) defend the benefits and safety of low-calorie or zero-calorie sweeteners. This Congress is taking place in Guadalajara (Jalisco, México) since last Sunday until tomorrow, November 15th. A debate table came up about “The interest in low-calorie or zero-calorie sweeteners in sugar consumption reduction,” organized by the Spanish Society of Community Nutrition (SENC) and the Latin-American Group of Community Nutrition (GLANC). Dr. Ángel Gil-Hernández, Biochemistry and Molecular Biology professor at the University of Granada, and chairman of the Iberian-American Nutrition Foundation (FINUT), participated at the debate table showing the results of recent research about the available evidence upon which he looked at the existing relation between low-calorie or zero-calorie sweeteners and the microbiome. Furthermore, if we consider the type of sweetener analyzed, “it’s remarkable that polyol-type sweeteners (such as isomaltose, maltitol, lactitol or xylitol) behave as pre-biotics since we have observed a reduction in the number of bifid bacterium in both animals and in humans,” he concluded. Low-calorie or zero-calorie sweeteners could improve blood sugar control by substituting sugar, and in control programs, they could also promote the reduction of global energy consumption and weight loss, according to Lluis Serra-Majem, Preventive Medicine and Public Health professor at the University of Las Palmas in Gran Canaria, and chair of the Foundation for Nutritional Research (FIN). 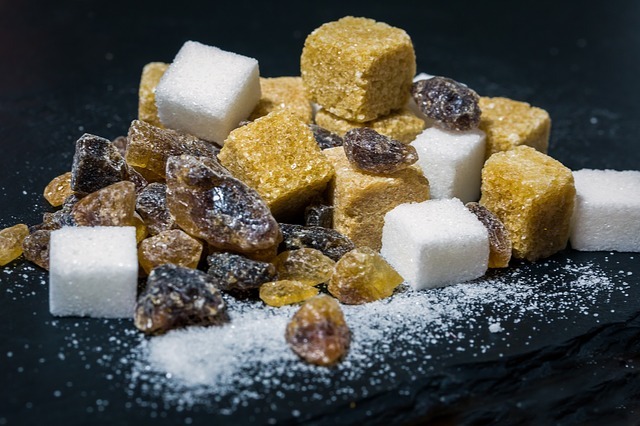 It’s stated in the ‘Iberian-American consensus on low-calorie and zero-calorie sweeteners,’ a document that had the participation of 60 experts from around the world end has recently been published in the international scientific magazine Nutrients. “The goal of this document, which looks at the evidence regarding the role of low-calorie or zero-calorie sweeteners in nutrition, their innocuousness and safety, their regulation and the nutritional and diet aspects of their use in foods and beverages, is to provide useful information based on scientific evidence that contributes to the reduction of added sugar consumption in foods and beverages, in line with the proposed guidelines proposed by the international public health authorities,” Serra-Majem pointed out. The XVIII Latin-American Congress of Nutrition (SLAN) 2018 held in Guadalajara, Jalisco, México, on November 11-15, 2018, under the slogan “Healthy nutrition for a sustainable planet” has been organized by the Latin-American Society of Nutrition (SLAN). The Congress boasted the collaboration of other institutions such as UNICEF, the Mexican National Public Health Institute, the National Council of Science and Technology (CONACYT), the University of Guadalajara, the Jalisco Association of Nutritionists (AJANUT), the Jesuit University of Guadalajara, the Tecnológico de Monterrey and the International Union of Nutrition Sciences (IUNS). Nota: Instituto Nutrigenómica no se hace responsable de las opiniones expresadas en el presente artículo.